Congratulations on the addition of a new family member! I knew you and Bailey got along right from the beginning, so this is great news! The strawberries are so beautifully sliced and arranged they remind me more of a flower than a decoration that goes on top of a tart. Marvelous!! Cardamom is currently my favourite spice! I bet it matches awesomely with maple syrup - I'll have to try that mousse. And with strawberries? Mmmmm! Bailey is really a cutie - congrats! An original combination of flavors! What a wonderful recipe! Your tartelettes look delicious! They are almost too pretty to eat. Almost being the right word. They would not last too long in my company!! You're very sweet and you're a good friend to invite her over and cheer her up. The tarts were obviously a bonus to your friendship. what a great way to get her out of the house and have company. Seriously, those are the best moments, when you can sit down with friends around the kitchen, especially if they have just gone under the knife and life presents itself as somewhat fragile. And yes, I'm with you on the heat... no ovens here either!!! I do worry about you talking to the mousse and it's consequences on those thighs! Oh my yes I do. So, perhaps you could reserve one from Thursday for me . . . how I wish I could. I love Kate Zuckerman's recipes, and your little mousse tartelettes looks just perfect. And congrats on the new family member! What a lucky puppy - congrats! Those little tarts look absolutely incredible! Yay! Bailey is coming to live with you! He's so cute I wish I had one for myself. And your tarts are really beautiful! Thanks for commenting in my blog today. I was aware of yours via wonderful aran, but since I don't know how to cook I'm always too embarrassed to coment or too impressed by your works. 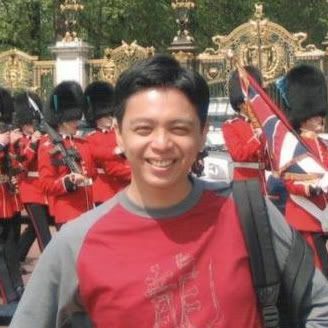 However, such stories as that of your friend make me smile, a big smile... I'll be back for sure, to treat my eyes with your pictures and to read your stories. - M is lucky to have such a supportive friend. Wish her best of luck from me! I forgot to congratulate you about your book deal. Very exciting news, my sweet Helene! And very well deserved. Wow! Look at the working of the sliced strawberries... Stunning stuff! Your picture of Bailey totally distracted me from the tarts! I'm a big dog lover, and we are considering getting a third pup. And the tart looks and sounds delicious, by the way! I keep on buying strawberries intending to make a strawberry dessert but we always end up eating them. How exciting you have a new puppy...hugs to bailey. And beautiful tartlets by the way. Oh, I love puppies! So glad you got one! Helen....you keep outdoing yourself. I only wish I lived next door. I would come slice strawberries or do any other kitchen task you needed done--just for a bit of one of your creations. 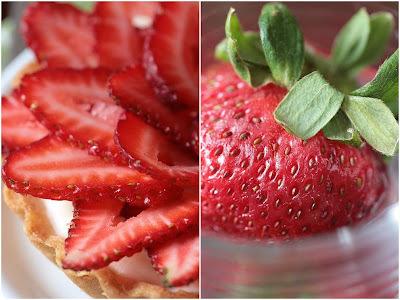 I love cardamom and strawberries together, your tartelettes look adorable. Congratulations on the new puppy, are you gonna bake puppy treats now? It's good to have company while baking, I also tend to talk to custards. But you know that's not really bad, when they start anwering to you that's when you've got a problem! A great job as always. These tarts are so stunning! Congratulations with a new family member! He is adorable, I must say! The tarts are wonderful! I will try this recipe for sure, cardamom is among my favorite spices. Congratulations on the new addition - enjoy the puppy breath while it lasts! and finally the tarts looks beautiful-perfect! Those are absolutely gorgeous - and yay for new puppies!! Is that a dahlia or strawberries looking like a dahlia. So pretty and tempting. I wish you lived next door to me. You sound like the bestest friend! Oh wow - not sure which I am more in love with - the puppy or the tarts! Beautiful! Beautiful post and beautiful tarts! Four tartelettes for one puppy. I bet my kids would offer more than that ;-). But then you have to count clean-up and restless nights and I would say - pretty even ;-). For the non-German-speaking crowd, it translates roughly into "You can live without a dog, but it's no use". Too true. Stunning! I need to get some tart pans! Puppy!? New Puppy!? Awwwww... too cute! And nothing is better than chatting and baking in the kitchen with friends. These tarts are lovely! I'm sure this lifted your friend's spirits---you are such an excellent friend. these tarts look beautiful and now i'm intrigued to order "the sweet life"! hmmm maple syrup & cardomom sound perfect together! please shoot me an email if you want--i want to send you the most delicious maple syrup in the universe--you will not believe it! Del: I love that quote! So true! These tarts are simply stunning. Not only does the flavor sound like a perfect--yet slightly unique--combination, but your presentation looks like a summer dahlia. Gorgeous! mmmm. this looks and sounds luscious! 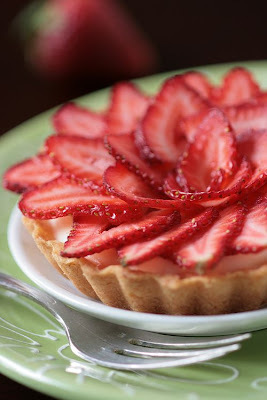 I love the thin slices of strawberries - it makes the whole tart seem so delicate. Baking with friends is a true delight (did some today myself) and sharing baked goods is a treat, too. Getting a puppy for 4 magnificent strawberry tartlettes...priceless! what beautiful tarts! Cooking and baking with friends is so much fun! Loving the berries, loving the tarts. Simply stunning photography. I love your creative use of fruit and spice, a very enjoyable read. It's amazing how something as simple as slicing strawberries can perk someone up. So glad you were able to do that. I was actually admiring the slices before I read the post. Those look positively DELICIOUS! I am giving you an AWARD... it is displayed on my blog... come see! PS... you may keep the award... you are under no obligation to take any further steps... just know that I award your blog! Those strawberries look amazing. So vibrant, and the tartlets look like they were made with such love too, with the help of your friend! Congrats on being a new mummy :D Hope you'll share some pictures of the pup soon! It's a good idea to use mousse instead of the usual custard as I never seem to get them at the right consistency! Lovely tarts! Haha!!! Talking to custard?! I may love food but I don't think I've ever reached such depths! :) Just kidding... It's more comforting to think it's the product of so much passion for what you do :) You're such a good friend, too. I didn't know that maple and cardamom could live harmoniously! That is one intriguingly beautiful tartelette! I love how you decorated the tarts, they look like flowers. I am not surprised that you ended up with Bailey! Stirring custard and cutting strawberries is good for the soul. 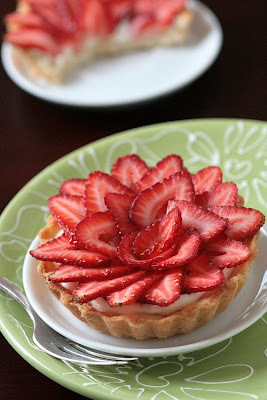 Cardamom is my new favorite spice and who can resist a Strawberry Tart. We are on for an afternoon of play, thanks for the invite. Your friend is lucky to have you. It is so relaxing to be in the kitchen with a friend. Best of times if you ask me. I'm not sure who got the better deal, you with an adorable puppy or the recepients of those delicious looking tartlettes. Wow, they look good! That little puppy looks like he'll make very large lad when grown. Enjoy! congrats in the puppy. the tarts are stunning! the summer dessert. i've been meaning to say CONGRATULATIONS helen!!! but i don't have the internet and apparently you can't comment using your blackberry?? i am so impressed and happy for you. i know you'll do a fantastic job with the book and i can't wait to read all about your stories :) sorry for being MIA but i do keep up and miss speaking with you! Thanks so much for your tips and advice on my blog, you are truly so great to not forget where you came from and still appreciate comments from little guys. If you have a minute, I have made some great changes to Hot Garlic, I'd love to know what you think now. What a lovely recipe. Time in the kitchen is always ten times better with a good friend and conversation! Glad you could cheer her up. Those strawberry tartelettes look great! Nice presentation! I like the sound of the maple and cardamom combo. Congratulations on the trade. I think you both got a good deal. The tartelettes are beautiful. I love the spray of strawberry slices! 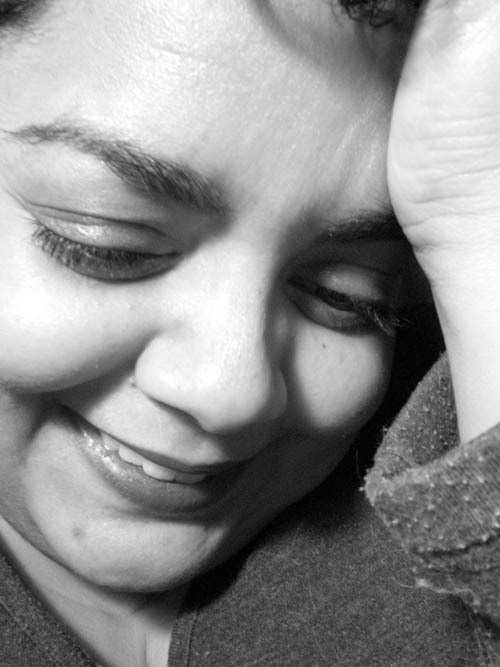 Merci pour ta visite a mon blog... I'll have to try that recipe... Cardemon mousse with strawberries sounds so exotic and refreshing. There is nothing more soothing and therapeutic than being put to good use in the kitchen, while chatting away with a good friend. I wish M. a speedy recovery. These tartelettes are delicate and pretty, like everything you make. The way your have arranged the slices of strawberries on tart of the tart is amazing - it looks so elegant, almost like a rose. Beautiful prsentation and an unusual flavour combination. Your fan of strawberries look perfect! wow.....this cake is just too beautiful to eat! i still haven't tried cardamom yet and wonder what it tastes like? even w/the last DB challenge, i did not go and buy some... i love how you arranged the strawberries on the tart! I always thought cardamon was the sexiest of spices. Now could a tartelette with a cardamon mousse, strawberries and assembled by you be the sexiest dessert ever. These look really nice and simple. I LL try them for sure. Thanks for the nice site. I really look forward to the new posts. Your presentation is simply stunning. Love the website and especially this recipe. Will deferentially try it and let you know how it went.